NZ Smokeless Tobacco Co (NZSTC) has the silver bullet for dairy owners wanting to find that high margin product to replace cigarettes. It has been quite apparent lately in the media that dairy owners have had enough with the dangers of selling cigarettes. Miles Illemann, Co-Founder of NZSTC said, “if the Ministry of Health are serious about the well being of New Zealander’s, we need to act now by encouraging new initiatives from industry which is currently moving faster than the Government. Regulating harm reduction products like snus, vapes and heat not burn should be the number one focus as we are losing 13 people per day to smoking”. “Regardless whether or not the tax goes up or stays the same, people will carry on stealing cigarettes and assaulting these dairy owners” says Miles Illemann. Many professional organisations are still very confused with the correlation of tobacco being the problem. To “clear the air”, we need to focus our attention on cigarettes as the problem otherwise we will publicly ruin the fact that harm reduction products can help people like snus and heat not burn that both contain tobacco and are significantly less harmful. The initiative, ‘Snus Swap’ from NZSTC, will enable dairy owners to stop selling cigarettes and start selling snus instead with higher margins for them to continue operating. It will be more effective if the excise tax is proportional to the risk. Snus, which is proven to be 98% less harmful than smoking could in turn, be taxed at a rate of 98% less than the current tobacco excise tax. With a 75% success rate for people trying to quit smoking, and the simplicity of not needing any componentry or servicing, NZSTC feels this could be a triple win for people, business and Government. Currently, NZSTC has an online retail site www.nzsnus.co.nz called ‘NZ SNUS’ which launched on World Smoke-Free Day (31st May 2018). 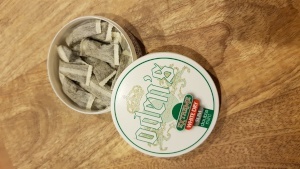 After nearly four months of operating, they have experienced high demand for their Swedish Snus and have had a lot of good feedback regarding people quitting smoking. Interestingly, they have received a high interest amongst Maori and heavily addicted smokers. If dairy owners want to be a part of progressive change and take a stand against cigarettes, Mr Illemann has encouraged them to make contact and explore this opportunity, start the movement and start stocking this awesome product that is already saving lives in New Zealand. 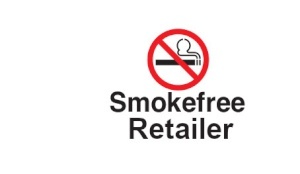 NZSTC have also added that they will supply dairies with “Smokefree Retailer” signs to prevent future robberies.